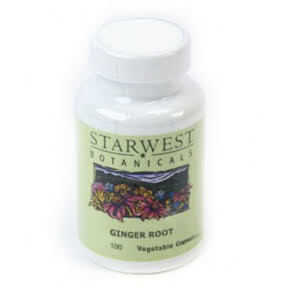 If you are looking to buy ginger root I’d like to suggest Starwest Botanicals. This is personally where I buy my herbs and I have never had a problem. They have been in business for over 45 years and are one of the largest and most respected herb suppliers in the world. They are based out of California and have a modern 100,000 square foot distribution center. The best part is they offer so many options for every herb, including ginger. Let’s take a look at a few of their best options, benefits and price. All you need to do is take anywhere between 6 to 20 drops (experiment to see which works for you) with water or juice. What’s great about this extract is it’s USDA Certified Organic. There are only two other ingredients in it and they are water and organic alcohol. This is really high quality and won’t disappoint. Extracts are the fastest working herbal preparation available. This is another convenient way to take ginger and possibly the most convenient. There’s an old Indian proverb that says “Every good quality is contained in ginger.” So this is a herb you want at your disposal at all times. This herb is extremely helpful in nausea and morning sickness. 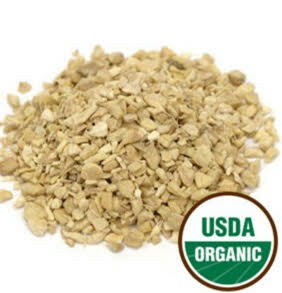 For thousands of years this root has been used for many different problems and to promote general health. These capsules have a 5 out of 5 star rating and you only need to take 1 to 2 a day to see results. Modern scientists are starting to see what the ancients knew. 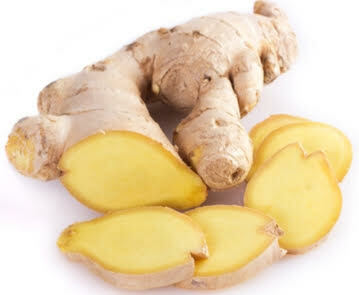 The New England Journal Of Medicine wrote an article on how ginger reduces cholesterol and lowers blood pressure. This is major since heart disease and stroke account for about half the deaths in America. This herb is a modern day gift and more people should enjoy it. These tea bags are a great way to ensure you do. 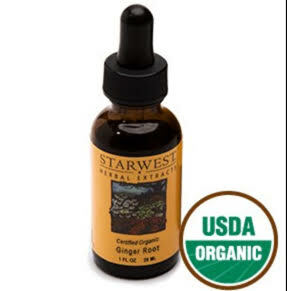 This is another USDA Certified Organic product and is a fast and easy way to take ginger. All you need to take it is water. Mix 1/2 teaspoon of ginger powder with 1/4 glass of water. After you drink it, follow it with a full glass of water. In some animal studies ginger seems to reduce blood sugar levels, suggesting it can help with diabetes. And much more. I’ve created an in depth guide on herbal preparations and dosage. You can read it by clicking below. This is a really cool way to enjoy ginger. You can add it to your yogurt in the morning or use it sweeten your tea. 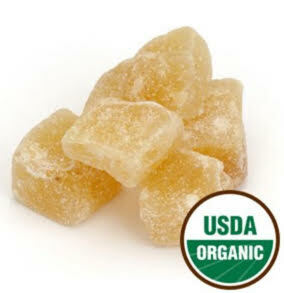 It’s made with pure organic cane sugar and that’s how it gets it crystallized appearance. This is another product that gets a 5 out of 5 star rating and has really positive reviews. Any Dangers Involved With Ginger? Herbs are WAY safer than prescription medicines and over the counter drugs. The latter two are highly addictive and cause hundreds of thousands of deaths a year; sadly they’re one of the leading causes of death in America. Just use common sense with ginger and take proper dosages. If you are pregnant you should ask a doctor before using any herbs or medicine. Some people who take it for indigestion experience heartburn. If you are giving to a child. a weak or debilitated person or the elderly you should give 1/3rd to 2/3rd of the recommended dosage. I hope you are excited about what ginger can do for you and feel there are plenty of options to suit your needs. There are even more ginger products at Starwest and they even sell ginger essential oils too. If you have any additional questions or opinions comment below and I’ll respond as fast as possible. If you believe in the powers of herbs share on social media for friends and family to see. Hi, and thanks for reminding me about ginger root. I live in Latvia and ginger root are widely available in grocery shops for rather low prices. 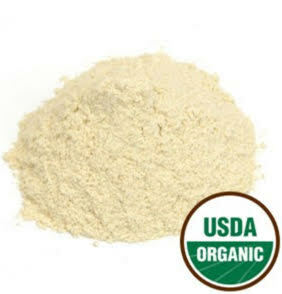 It is a shame that did not know that this root helps to lower cholesterol and blood pressure. Maybe you can recommend the best method to use ginger root? it depends on on personal preference. If you like drinks than teas, infusions and decorations are good. If you just want the benefits fast extracts, powders and capsules work. I grew up in Poland and as kid I only new about gingerbread cookies. 🙂 I heard that ginger is also good for lowering cholesterol and apparently for weight loss too. It works as a natural appetite suppressant. I forgot about that. I`m currently trying to lose weight. Time to get some ginger. I have been trying to find this type of information for months now. I am glad I landed in your website, since I couldn’t find this information anywhere! I was aware that herbs were safer than prescription medicines and over the counter drugs, but it is always hard to find them. Thank you for providing us with this review. it is hard to find them. That’s why I go online, it’s much easier and you can get any herb you want.